Broaching of External forms is also possible using the same concept as ID Broaching except it uses a precision cutter to shape the outside diameter of the part. 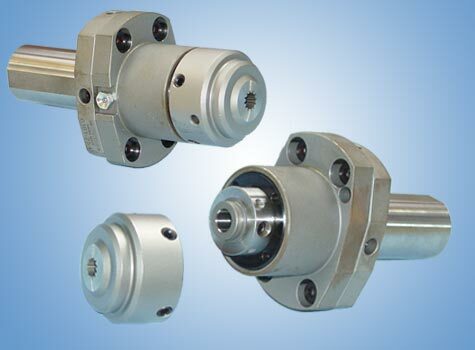 This operation is ideal for parts that are identical for the entire circumference of the part. Also the part needs to have relatively loose tolerances as this operation is hard to keep tight. Creating parts such as gear teeth is not possible. Ideal parts for this application would be for example, faucet handles, automotive wiper blade axles, splines, hand grips on the OD of the part, and wrench flats. Typically tolerances can be held to within a .003-.005. Please call to discuss your application. S= max size ~ 5/8"
Max profile length cannot exceed 15mm due to tooling limitations. Involute profiles and gear teeth are not recommended applications of this process.